WILLEMSTAD - The former Premier of Curaçao Gerrit Schotte has already been sentenced, but will try to reverse the conviction. Gerrit Schotte is a “politician with a huge ambition. He is creative, with innovative ideas and beautiful plans for the island.” This is the description that Schotte’s lawyer, Geert-Jan Knoops will present today to the judge in the appeal case. This is at odds with the view of the Public Prosecution (OM). The OM sees Schotte as a corrupt, money launderer who should be in prison right now. Gerrit Schotte was sentenced by the Court of First Instance in March last year to a three-year imprisonment on account of bribery, forgery and money laundering. In addition, he cannot participate as a candidate in the elections during a period of five years. According to the court, his personal interest was a priority when he was bribed for 1 million dollars by the Sicilian gambling boss Francesco Corallo, in exchange for far-reaching political influence through Schotte’s political party MFK. Corallo even had an influence in appointing ministers. 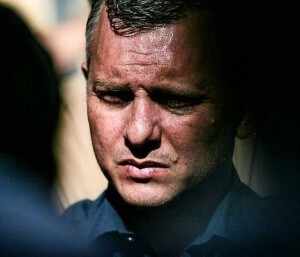 At the Court of Justice, Schotte will try today to have his sentencing overturned. His political career will come to a complete halt only after his conviction becomes irrevocable after the Court of Appeal and a possible corridor to the Supreme Court in the Netherlands. Meanwhile, he can stir things up a bit, like he did a few months ago when he caused the Koeiman government to fall and tried to stop the elections. Caretaker Minister of Kingdom Relations Ronald Plasterk spoke of an "attempted coup" and instructed the Governor of Curaçao to organize the free elections, after which a ‘clean coalition’ came back to power. Lawyer Knoops will try to show a different Schotte today. He puts the man behind the coup as a "talented politician" who wants to change things in Curaçao, and once again goes against the establishment. This established political order has given rise to the prosecution of Schotte because, according to Knoops, the political and judicial apparatus are the same in Curaçao. The case against Schotte has begun after someone anonymously filed charges motivated by gossip. Knoops says that is absolutely not possible. That's Knoops' first line of defense; he does not deny Schotte's criminal offenses so much but argues that justice must be declared inadmissible because the investigation had a false start. Should the court proceed with the case, Knoops will try to demonstrate with his own digital tracking that the evidence provided has not been carefully compiled. He also refers to the 'customary' practice of party financing in Curaçao. What in the Netherlands could sound like a conflict of interest would be a normal practice on the island. In the appeal, Schotte himself will speak. Schottes former financer, the Sicilian casino boss Francesco Corallo who has been arrested in Sint Maarten is currently engaged in an extradition procedure requested by Italy. His Dutch bookkeeper is also behind bars. Justice seized 120 million euros. Corallo can improve his own position by making statements about the allegations against Schotte, but also the information that was collected during Corallo’s arrest can be very negative for the former Prime Minister.